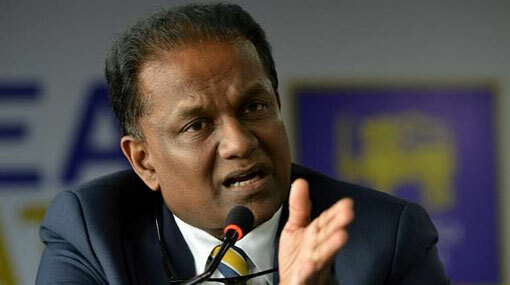 UPFA Parliamentarian Thilanga Sumathipala says that he will not contest the upcoming Sri Lanka Cricket (SLC) election. The former SLC President made this announcement during a press conference held in Colombo today (17). The briefing took place following the handing over of nominations by candidates contesting the SLC election while Sumathipala did not participate in the submitting of nominations. The candidates contesting for the top positions in the country’s cricket governing body for the two years from 2019 to 2021 officially handed in their nominations today. “I decided not to contest the Sri Lanka Cricket election and to fulfill the responsibility of my political stream for the country,” Sumathipala said.